Throughout Ironbind Barrow there are several trap doors. I didn’t try out whether or not they would open, but it is better to stay away from them if you want to avoid wasting time walking around to get back to the top of the trap door or want to avoid dying. Once you take the helmet off the pressure plate spikes shoot up all around the stand. Quickly take a few steps back to avoid the damage. This action will also open the gate in front of you. 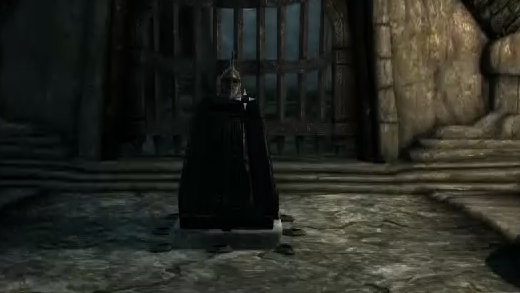 In this dungeon you will find the word of power “Spirit” from the shout “Become Ethernal”. This shout is very useful if you are faced with a high cliff that you need to travel down. It is also useful if you are in a situation were you are almost dead but you are about to kill an enemy and want to avoid using a potion. Simply use this shout and become invincible for a few seconds. 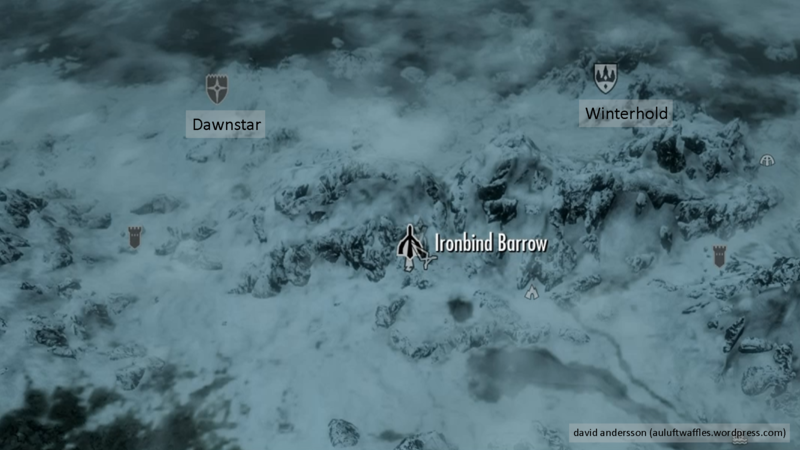 This entry was posted in Become Ethereal Shout, Gaming, Skyrim, Words of Power and tagged barrow, become, ethereal, fast, guide, help, ironbind, os, power, skyrim, tips, tricks, walkthrough, word. Bookmark the permalink. I shot the helmet off it’s pedestal with my bow and got stuck for a while…Had to reload the previous save and start over…So don’t do that!